IT'S A GOOD THING, produced by Grammy Award winner Marshall Hall, is sure to become one of your all time favorites. It's a wonderful collection of songs including two accompanied by Anthony Burger. Without a doubt, you will recognize timeless classics and songs that carry a compelling message to the listener. 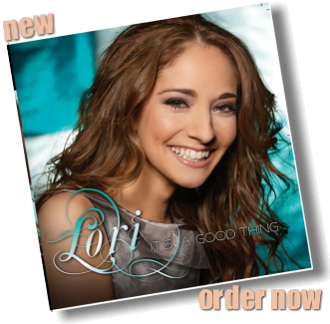 With selections that capture the very heart of southern gospel music, LORI'S newest release blends the familiar with the new in a powerful vocal style well beyond her years.